The Faculty of Economics was established in 1997/98 academic year in Brcko. Teaching process is conducted in two study cycles. 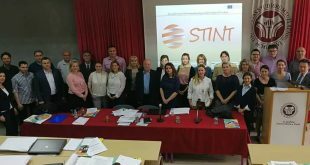 Faculty, in the context of teaching and scientific research work, develops cooperation with a number of related faculties and scientific institutions from BiH and abroad, which allows the Faculty to engage traditionally eminent professors and experts in economics and related fields. Based on the regulations provided with the Bologna Declaration, students of the Faculty of Economics Brcko are able to use mobility programs such as ERASMUS, ERASMUS+, CEEPUS, and they have their passed exams at universities providing mobility programs fully recognized. The same rule applies to students from the faculties with related profiles who wish to complete their education at the Faculty of Economics Brcko. The Faculty publishes the journal "Proceedings of the Faculty of Economics Brcko", and also it has published the "Proceedings of the Third International Conference of the Faculty of Economics Brcko - The partnership of government, business and higher education institutions in fostering economic development." The Faculty of Economics Brcko organizes an annual international conference, and it is also an important segment of economic development of the Brcko District. Within the Fair of Economy in Brcko District, an international conference of the Faculty of Economics is organized. Students’ representative body of the Faculty is the "Students’ Union of the Faculty of Economics Brcko". Acting Rector of the University of East Sarajevo Professor Stevo Pasalic visited the Faculty of Economics in Brcko.